Home Blogger Tricks How to HOW TO: Upload and Take backup of your template on Blogger? HOW TO: Upload and Take backup of your template on Blogger? Blogger recently added a very cool interface for its administrators and blog authors. 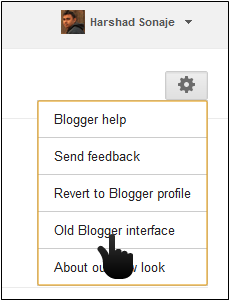 But it missed a very important feature which was there in previous UI of blogger. Incase you want to update your blogger template its very important to take a backup of your template. 1. 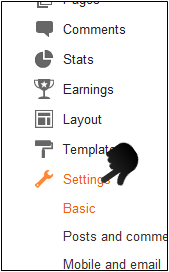 Go to Blogger ⇒Dashboard ⇒Settings. 2. Check the Gear at the right hand corner. 3. Choose Old Blogger Interface. 4. Now Choose Design ⇒ Edit HTML. 5. Find Option to Download and Upload your template. 6. Now simply revert back to the new interface. Hope this simple tricks help you a lot. Don't forget to spread the word.